The most vibrant, beautiful and amazing cities Delhi, Jaipur and Agra. 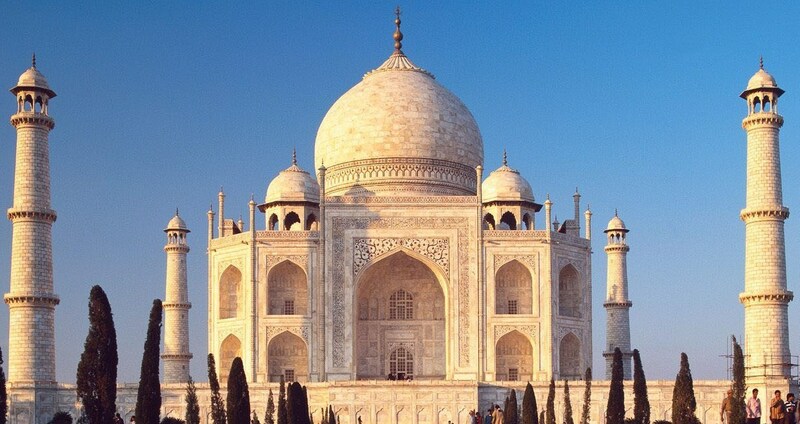 Golden Triangle Tour is one of the most popular tours of India which covers three of the most vibrant, beautiful and amazing cities Delhi, Jaipur and Agra. 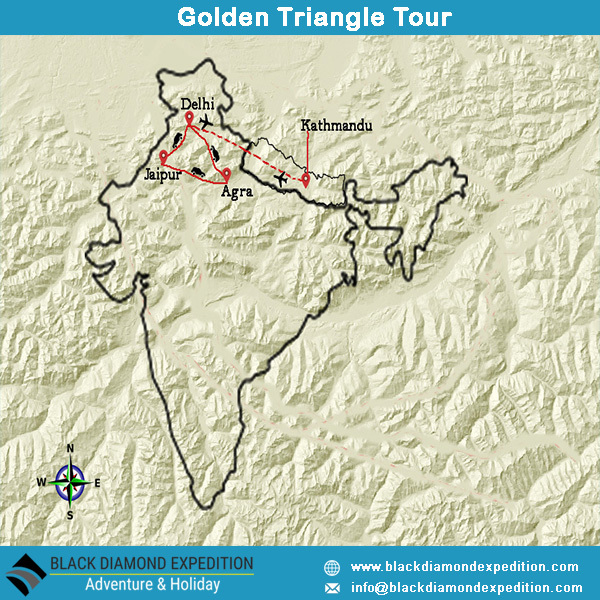 Golden Triangle tour is so called because three cities form a triangular shape on a map. 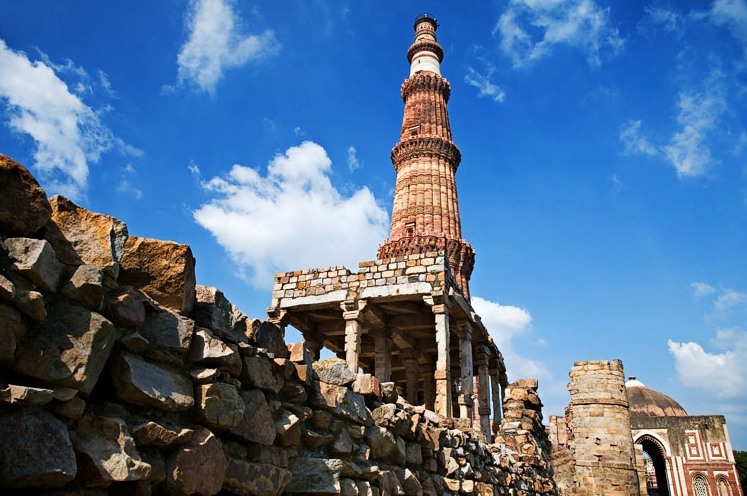 This tour gives you a chance to see the rich culture and history of India through these cities. You will visit ancient monuments with Mughal architectures in Delhi, Forts, and Palaces in Jaipur, Taj Mahal and Agra Fort in Agra and artistic Havelis explorations in Rajasthan. You will start your adventurous tour in Delhi with monuments like India Gate, Red Fort, stop at Taj Mahal in Agra for a perfect photo, enjoy elephant ride in Amer Fort in Jaipur and walk in the lanes of Mandawa surrounded by Havelis. Delhi, the capital city of India, Agra- where the spectacular Taj Mahal profoundly stands, and Jaipur - the Capital city of Rajasthan with its traditions of chivalry and valor offer you a great history, preserved culture, art and architecture of medieval period as well as the vibrant icons of India. Golden Triangle Tour is a must visit tour at least once in a lifetime. Upon arrival at Delhi International Airport or railway station meet our representative and transfer to the hotel. After the check in at hotel, our representative will brief the program shortly. Rest of the day is at your leisure. Overnight in Delhi. After breakfast proceed for sightseeing of Delhi. First we visit Old Delhi including The Raj Ghat- the simple square platform of black marble marks the place where the father of Nation, Mahatma Gandhi was cremated. Red Fort (Lal Qila)- a massive fort built by Mughal emperor, Shahjahan whose walls rise 33-m to keep out invaders. Jama Masjid- one of the largest mosques in the world and the largest in India which was built by Shahjahan. Later we proceed to visit New Delhi including Qutub Minar- India’s tallest minaret made of red sandstone and marble that rises to 72.5 m, India Gate- constructed in the memory of Indian Soldiers who died in World War I and finally Lotus Temple- situated in the top of Kalkaji Hill which signifies the purity and equality of all religions. Rastrapati Bhawan and Laxmi Narayan Temple. overnight in Delhi. In the morning after breakfast, we drive towards the Jaipur, also known as Pink city of Rajasthan. After 5 hours drive, we reach Jaipur and check in the hotel. After refreshment, we walk around the local market which offers various authentic handicrafts, souvenirs, delicious cuisines etc. Overnight in Jaipur. This morning after breakfast we proceed for sightseeing of Jaipur including Amber Fort- built in 16th century. We enjoy an elephant ride at Amber. After then we visit Hawa Mahal- a palace of winds. In the afternoon we visit the City Palace, now a museum that contains fine Rajput and Moghul paintings, rare manuscripts and an armory, old carpets, and even amazingly embroidered clothes of the Maharajas and the Maharanis and then walk to adjacent Jantar Mantar an astronomical observatory. Rest of the evening is at leisure. Overnight in Jaipur. After breakfast, we drive to Agra. Enroute we visit Fatehpur Sikri, a city founded in the mid of 16th century by the Mughal emperor Akbar and served as the capital from 1571 to 1585. The magnificent complex of monuments and temples in the city are examples of the fusion of Islamic architecture with Hindu and Jain decorative art. On arrival in Agra, check into the hotel. After refreshment we proceed for sightseeing of Taj Mahal, one of the eight wanderers on earth which is widely recognized as the jewel of Muslim art and one of the universally admired masterpieces of the world’s heritage. Overnight in Agra. After breakfast, we visit Agra Fort, a large fortified strategic point of Mughal Empire. After then we drive back to Delhi en-route visiting Sikandra. On arrival at Delhi, check into the hotel. Evening is free for personal activities. One can visit the market area for shopping. Overnight in Delhi. After breakfast, you are free till departure. If time permits you can do shopping nearby or sightseeing. Our representative will transfer you to the airport for onward journey. You are really fortunate to spend time with our guides who hold strong communication skills. They are great at projecting their voices across a group in a clear and easy to understand manner. They are gifted with what you call to be the great conversationalists with outgoing personalities. We ensure you that you feel open and comfortable talking to whoever accompanies you as your guide. Our guides possess a great experience of almost all the travel and trekking sites of Nepal. They can disseminate their awesome knowledge and experiences to you. They are not only enthusiastic but at the same time are humoros as well to relieve you from the often tiresome walks. We never compromise when it comes to time. Our guides are are always punctual and perform things in time. They have keen sense of direction and can easily lead you in whichever route you follow them. Mostly, we assign the local guides who can bring their own knowledge, experience and personal anecdotes to the tour that can make your trip very special and you will gain a genuine experience. No reviews yet. Be the first and write about your experience by clicking the Write a review button above. No Compromise for safety !!! We keep your safety first. We do have a preparation information before your arrival and we track and keep every step of your safety while on trek. "INDEED YOU ARE IN SAFE HAND WITH US"
Compared to the price and service offered by any international Adventure Travel Companies, we are 50% cheaper than that of those companies for the same service. We have guides who speak very good English and have wealth of local knowledge. Once you pay the deposit, it is for life time for you and is transferable to your friends and families. All our departures are Guaranteed, any dates and any numbers in a group are going so you do not have to think twice about your travel plan, preparation and flight. Please understand that we have no hidden fees on your booking and cancellation fees. Most of the companies offer low rates and there are lots of hidden extra fees you will encounter with on the trip.